Okay mommas, this might be a hard one to read but it is an important one. So, reheat that coffee for the third time and grab a Kleenex. There’s encouragement for us here and it is reminder I needed so I want to share it with you too. Last night my three-year-old had a meltdown at bedtime, because she couldn’t decide which princess nightgown she wanted to sleep in. Insignificant options can be so tricky at the times. We changed four times and then I passed her off to her dad to enjoy watching him navigate the emotions of a sleepy, princess toddler. She was, in fact, experiencing toddler exhaustion, which leaves all its parental victims helpless and in confusion. I pictured a suitcase at first and pondered this thought that I knew was not about statement about material or brand. I began to think about what it is like to pack for an adventure and fitting all that is needed in a single bag—for me it is nearly an impossible feat. For me, this thought about my girls carrying the best things out of our home is not about physical things being in their metaphorical suitcase; it is about my husband and I equipping them with instruction and confidence to run boldly into their anointing and calling. This list only exists because early in the process of the notes above Jesse, David’s earthly father, allowed Samuel the Prophet to anoint Him per God’s calling. David developed these attributes as His earthly dad yielded to God’ multi-faceted plans and purposes for David—as a shepherd, musician, armor bearer, messenger, warrior, writer and later a King. Someday my daughters will reach an age that they will leave my home. Your kids will also. But they won’t be bogged down with weighty things or issues or possessions, or unneeded items for an unknown adventure. My daughters will leave our home with instruction, memories, moments of love and faith and warmth and service and affirmation. They will have the words of the Lord sown with love in their hearts and minds and mouths. They will wear grace and humility bound on their necks like a garland. They will wear the gospel of peace on their feet and a crown of beauty on their head. They will shine like lights that don't go out because of the illumination of the word and the oil of the Lord. 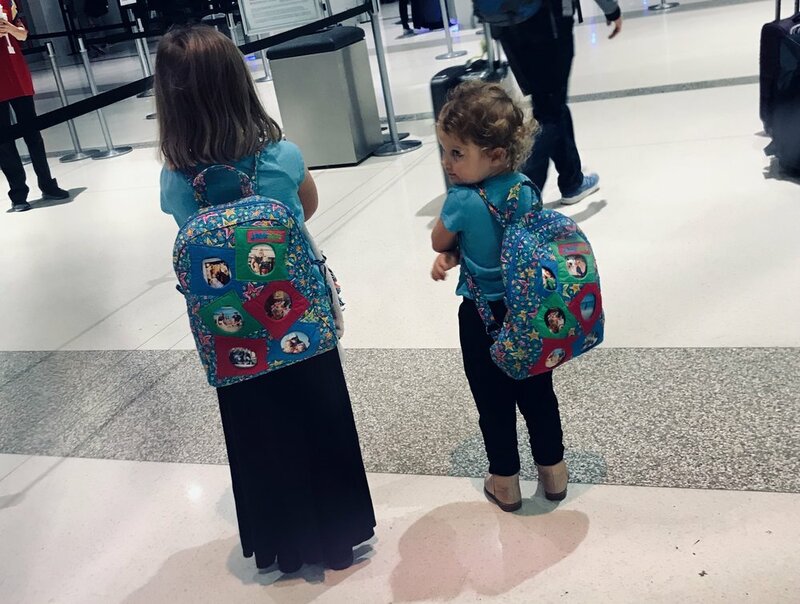 They will travel lightly out of our home because we have dressed them in their best for whatever the rest of their journey entails. As I pondered the "best" thing they could take out of our home, I realize it is nothing that fits into a suitcase .The best thing we could make sure they carry out of our home is our yes to God’s anointing on their life and their confidence in wearing it out the door and into their calling. So, amidst all the pressures of scheduling, school decisions, homework, exhaustion, potty training, and sleep training—don’t forget the big picture. Make sure your children carry the best things out when they leave your home—and they aren’t things packed, they are things worn. Jesus, grace us as we parent these tiny and precious souls.